I hope this letter finds you all enjoying the remaining weeks of summer and looking forward to the upcoming school year. Included in this letter are some important dates and information for the 2017-2018 year. On Monday, August 7th, and Tuesday, August 8th all students should enroll and pay fees. Office hours for these days are 8:00 a.m. to 1:00 p.m. and 4:00 p.m. to 7:00 p.m. Beginning August 1st, if you are in the area of the high school, you may stop in and pick up your enrollment papers during regular business hours. Schedules will be completed by August 1st. Schedules can be viewed through PowerSchool online or picked up in the office beginning August 1st. If students want to change classes they may do so with Mrs. Buck beginning the 1st of August, and any business day after, between the hours of 8:00 a.m. - 4:00 p.m.
Costs at enrollment are $85 to cover student rentals. Student rentals will be capped at $100 per family. Student meal prices 7-12 are: Breakfast $1.90; Lunch $2.85. School will begin on Wednesday, August 16th. This will be a half day of school with dismissal at noon. Breakfast will be the only meal being served for JH/HS students. Math Interventions - During the 2016-17 school year, full reading interventions were rolled out to all students. The reading interventions will still be part of the upcoming school year, but we will also be adding a time for math interventions to occur. School Connect - To help educate our students on several social issues and help students receive the tools for becoming an all-around good person, a new Social Emotional Curriculum will be put into place. This program is called School Connect and will be implemented to all our students. Random Drug Testing - Random drug testing will now be a requirement for all extracurricular activities sponsored by KSHSAA and Valley Heights. Copies of the random drug testing policy will be included in your enrollment forms. Weekly Eligibility Requirements - Instead of just relying on semester eligibility requirements, we will be going to weekly eligibility checks. This should help coaches and sponsors keep track of students grades more consistently. Students that have 3-D’s or 1-F will be placed on the “ineligible list”. There will be a one week probationary period and the details of the eligibility requirements will be in your handbook. Cumulative Disciplinary Points - Students who are constantly distracting the learning environment in the school will face more consequences. The handbook will outline the cumulative disciplinary procedures, but long term suspension/expulsion is an option. School Attendance - Please review the attendance policy and truancy policy outlined in the handbook. Attendance at school needs to be a priority and the attendance will be checked by the office on a weekly basis. 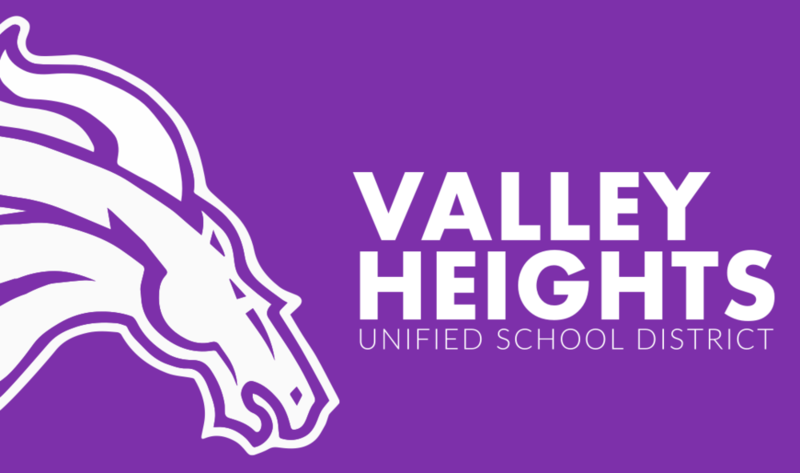 Wednesday, August 9th, 7:00 pm - 7th Grade Orientation - This is a new activity that VH is offering to help new students and parents to our building. 7th Grade Orientation will be designed to offer general information to parents and students along with being able to ask any questions prior to the school year beginning. Students will also be allowed to roam around the building to see where classes will be and the most important part, practice opening lockers. Monday, August 14th - Fall Sports Begins - Please make sure to have your physical and all necessary paperwork completed prior to beginning practice. Tuesday, August 15th, 6:30 pm - Drug Testing Information Meeting & Fall Coaches Team Meetings - Students and parents wanting to get more information on random drug testing will be able to hear more details in a presentation. All students participating in an extracurricular activity throughout the school year are recommended to attend the meeting at the high school. Following the drug testing presentation, all fall sports coaches will meet with parents and athletes of their respective sports.